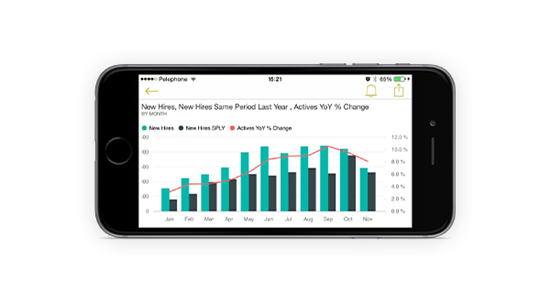 We are happy to announce a new cool way to view your BI information in the Power BI iPhone app, landscape mode! 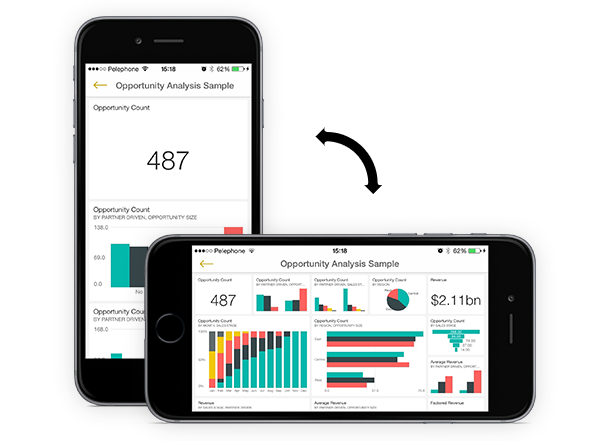 Using landscape mode to view your BI information opens up a world of possibilities! From now on your mobile app will display your dashboards in the same format they appear in Power BI web app to provide you with a continuance and intuitive experience. Additionally, your tiles can be viewed in the best suitable format even in the limited form factor of your phone, and much more! It’s amazing how simply rotating your phone can create a totally different, slicker and much more intuitive experience! 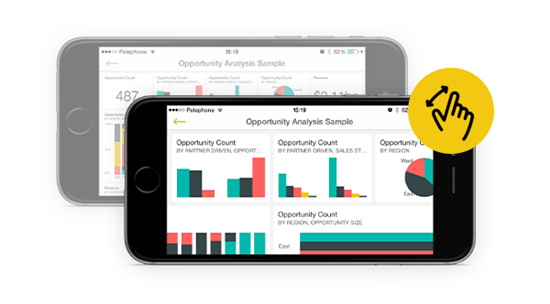 Landscape mode allows you to view and navigate your dashboards in the same way as you do in the Power BI web app. To view your dashboard in landscape, open it and simply rotate your phone. The dashboard layout will change from a serial list of tiles to a “Bird’s eye” view, meaning you will see all of your dashboard’s tiles as they are in the Power BI web app. You can use the “pinch” gesture to zoom in and out on different areas of your dashboard, pan to navigate it and tap any tile to enter the tile’s focus mode and interact with your data. The new landscape capability combined with the existing focus mode enables you to choose the best orientation for each tile you want to view. For example, several tile types, such as trend lines and continuous bar charts that contain a lot of horizontal data, are best viewed in landscape mode. And of course, to give you a holistic landscape experience, you can now use the whole app while the phone is rotated. Whether you want to navigate between dashboards and groups, view your alert and favorite tiles, invite people, share snapshots and even manage your settings – it’s all available to you in landscape mode. So… go ahead and enjoy the landscape!